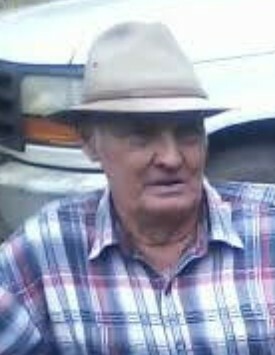 Thomas Jackson Cravey, 76, of Helena, died Wednesday, February 13, following a brief illness. A funeral service will be held at 11:00A.M., Saturday, February 16, at New Red Hill Holiness Baptist Church with burial in the church cemetery. Visitation is Friday, 6:00-8:00P.M. A native and lifelong resident of Telfair County, Mr. Cravey was the son of the late Ed Travis Cravey and the late Clydie Bass Cravey. He was a lifelong farmer and was formerly the Chief of Police for the city of Helena. Mr. Cravey was also involved in property management. He was preceded in death by his wife, Carolyn Marshall Cravey. Survivors include his sons, Tommy Cravey of Helena, and Mark (Phyllis) Cravey of McRae; step-daughter, April Brack of McRae; and grandchildren, Mary Cravey and Travis Cravey; and step-grandchildren, Josh Brack and Ashley Brack.